Professional Background: Over 20 years of experience in semiconductor and electronic components sales for the Americas. Technology expertise in many semiconductor areas (DRAM, FLASH, FLASH Cards, SSD, ASSP, LED, MCU, ASIC, FPGA, Power, Analog, IGBTs, etc.) and the applications where these devices are used. Skilled at setting a sales and marketing strategy and then successfully executing on the strategy. Distribution and Rep management experience. Entrepreneur with understanding of P&L, cost, asset and Supply Chain management. Key Account Manager for Top Tier OEMs and EMS. Key Market experience in Networking, Mil/Aero, High Temp, Computing, Storage, Power, Medical and Industrial. 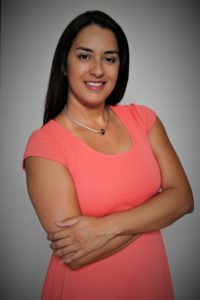 Professional Background: 12 years of Engineering and Project Management experience in the Telecommunications Industry, designing and optimizing CDMA network and leading cross functional teams for last mile deployment projects using SHDLS, fiber optics and wireless transport for government and corporate customers. Professional Background: 2 years of experience in Business Management in the Hotel and Tourism Industry. Sales Executive for Events, Food and Beverage. Jaime is top notch. He is a pleasure to take to my customers. Jaime is top notch. He is a pleasure to take to my customers. He is responsive and helps to minimize challenges that both me and my customers face everyday. We've been working with Corven for more than a year, and I have to say Jaime really knows how to work with distributor, manufacturer and Reps. He is knowledgable about the industry and market, aggressive to develop sales opportuninities, and good at helping channels. Corven is a strong partner of us, we are more than happy to cooperate with them to grow our business. As a Manufacturers' Representative organization, Corven Electronics has been instrumental in our success. As a Manufacturers' Representative organization, Corven Electronics has been instrumental in our success. As our customers need samples, or technical discussions, Jaime Coreano and his team really step up to make sure all the customers' needs are met. With many of our manufacturers being in Asia, they work the long evening hours so our customers don't have to. Having them part of your team is really a good thing! As a Manufacturer's Rep organization, Corven fills the gaps between manufacturer, distributor and end user with the right mix of technical expertise, field support, and understanding of the market channels. Corven's articulate advocacy of the Rep / Distributor model allows my customers and sales team to trust them, allowing more strategic and efficient collaboration. I consider them a strong partner in my sales and marketing efforts. Testimonial *I am working on multiple products and projects supported by the Corven team. Testimonial *I am working on multiple products and projects supported by the Corven team. Jaime and Cynthia are extremely responsive in efforts to help us move forward with designs and applications. Highly recommended as an electronics/electrical component support team. It has been almost a year since we started working with the Corven Electronics team and we are extremely pleased with the level of partnership and professionalism that we receive from your organization. It has been almost a year since we started working with the Corven Electronics team and we are extremely pleased with the level of partnership and professionalism that we receive from your organization. From non-nonsense decision making, technical support for our end customers, and representation in the field Corven has become a valuable extension of our business. We share 4 suppliers so our interaction with Corven is part of our daily process. Whether it is a customer product webinar, conference call, or negotiating a better price on behalf of our customer, Corven produces. In our highly competitive industry relationships are just as important to our success as the technology we sell. Corven is a key ally in forging brand new relationships in the field, and strengthening existing ones by standing with NAC as a partner. We are happy to be able to say we were there with you at the beginning, and we look forward to a successful future partnership between Corven and NAC.